Who doesn't like the dark mode on his smartphone? According to Google, using dark mode will help improve smartphone's battery life. The revelation was made by Google at its Android Dev Summit 2018. Google highlights that as the brightness of a smartphone’s display increases, its power usage increases in a linear fashion. However, this increase in power usage can be offset by using a dark/night mode. As per studies conducted by Google, a smartphone will consume less power at maximum brightness while using dark or night mode. How less? Up to 63 percent. In its study, Google used the original Pixel which features an AMOLED panel and an iPhone 7 which makes use of an LCD panel. While displaying a Google Maps screenshot at maximum brightness, the Pixel’s OLED display consumer 250mA of power, while the iPhone 7 consumed 230mA. 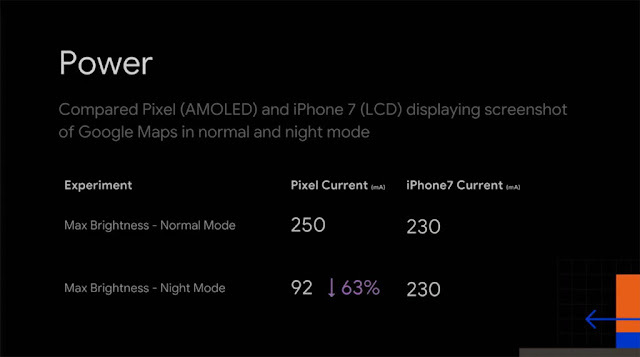 However, with Night mode enabled and at max brightness, the Pixel’s display power usage dropped by 63 percent to just 92mA while that of the iPhone 7 remained the same. Apple is on the same boat as Google here. While the Cupertino company switched to OLED panels only last year with the iPhone X, iOS continues to use a predominantly white theme which is not really ideal for battery life. Thankfully, many third-party iOS developers have already added a dark mode to their apps, with Apple itself promoting apps with dark mode on the App Store. 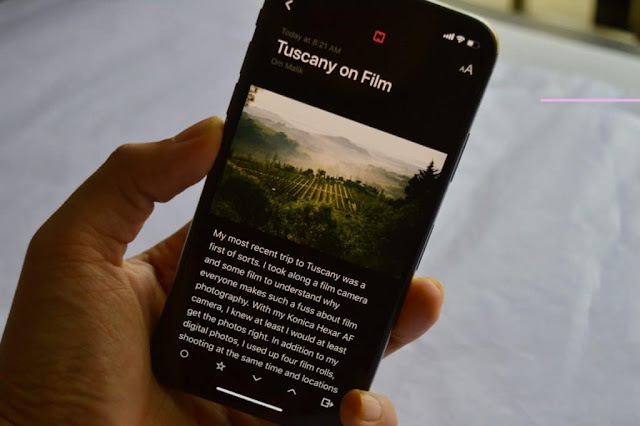 The main question here is when can we see a real dark mode theme on iPhone?